The Italians are famous for their kitchen, but that’s not the only thing they’re good at. 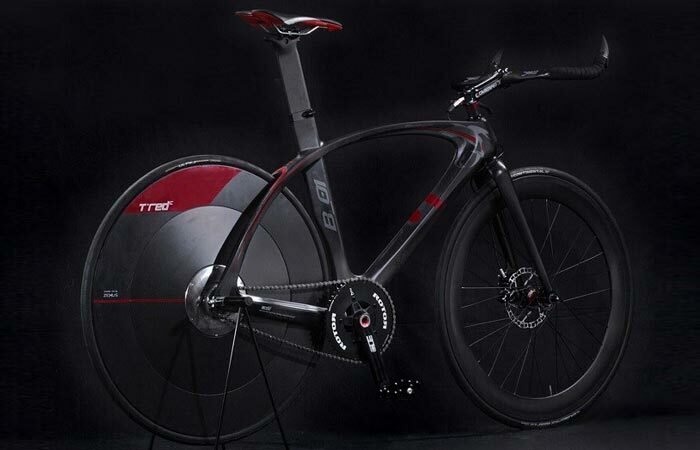 Among many other things, they’re also good at making high-performance bicycles, and the proof is the BestiaNera Hybrid Bike by T°RED. The name of the bike translates as the Black Beast, and what a beast it is! This carbon fiber frame bike features black paint all over, with dark red details and horns at the end of the handlebars. It all adds up to create a stunningly devilish appearance, and when you consider the performance and other features, you get one hell of a bike. 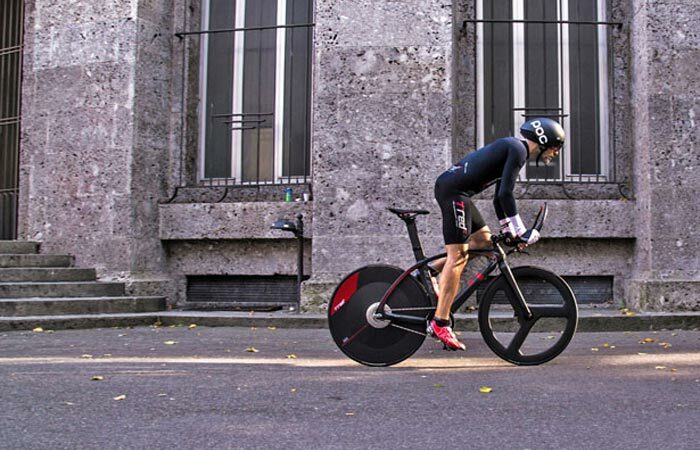 The BestiaNera Hybrid Bike is the world’s lightest hybrid with a total weight of just 21.6 lb. (9.8 kg). The bike is lightweight thanks to the carbon construction. 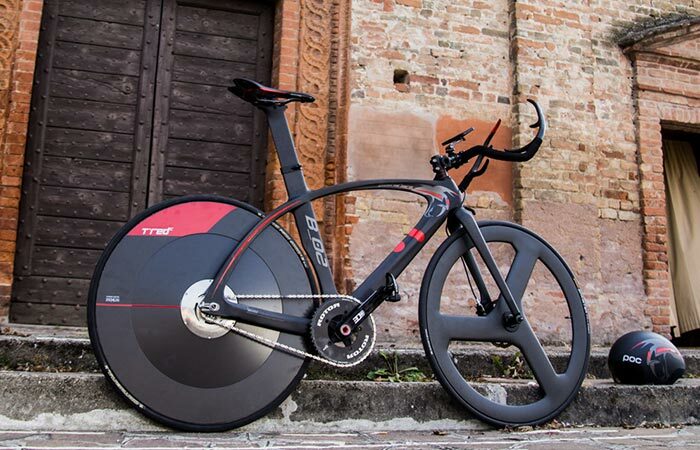 It features a monocoque carbon fiber frame, carbon tri-bladed front wheel, and carbon disc cover on the rear wheel. This bicycle is a two-in-one, part electrical, part mechanical, and it comes with a rechargeable 30V/160-Wh lithium-ion battery pack. The battery recharges via KERS system when the bike is slowing down. BestiaNera offers an amazing experience as it can help you achieve the speed of 30 km/h (19 mph) with just three pedal strokes. This is possible thanks to a brushless 250-watt hub motor. Both the motor and the battery pack are built into the lenticular disc rear wheel. To provide the most comfortable ride possible, this amazing bike features a Shape Memory Alloy Anti-Vibration System. Feel free to go wild on this beast as the front SRAM hydraulic disc brake ensures you’ll be able to stop the bike promptly. The BestiaNera bike frame features a sleek design and the bike comes in three options, including Light, Urban, and Sport to cover all your needs, from commuting to racing on the velodrome. The bike is powered by a heat engine that requires some leg work to get started. The ZEHUS pedal-assist system has seven different driving modes can even be controlled via Bluetooth thanks to the mobile app. This means you can easily get some assistance whenever you need it. This hybrid bicycle also features a weather resistant skyline seat.